If you’re a fan of raw food, then the name Amber Shea Crawley will be familiar to you already. Amber (whose blog was formerly Almost Vegan) is a cookbook author, a trained raw foods chef, and an inspiring blogger living in Kansas City, MO. I featured Amber’s last book, Practically Raw, here on CR (read the review here), and I’m excited to be featuring her new book, Practically Raw Desserts, today. Practically Raw Desserts takes off where Practically Raw left off, but it hones in on the recipes for which Amber has become most famous: her scrumptious desserts! In the realm of raw cuisine, dessert stands out as an incredible highlight. I often prefer raw desserts to their “real” counterparts, and I find that they are satisfying in ways that conventional dessert often is not. All of the 100 recipes in Practically Raw Desserts are raw, vegan, low-glycemic, and free of dairy, eggs, gluten, wheat, soy, refined sugars, refined flours, yeast, starches, gums, corn, and peanuts. Almost all of the recipes come paired with full-color photos. Many of the recipes can be made in under 20 minutes with no advance preparation necessary. 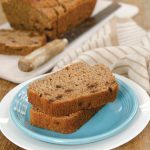 All of the recipes provide nutritional information, numerous ingredient substitution options, baking directions for using a conventional oven (if applicable), and fun and creative variations to stretch your desserts repertoire even further. Many of the recipes also provide chef’s tips to help streamline or enhance the recipe. Half the book consists of 20-minute recipes. Only one-fifth of the recipes require you to turn on an oven or dehydrator (the rest are completely no-bake!). Sounds pretty cool to me! To tell us more about the book, I invited Amber to CR to speak in her own words. I hope you’ll enjoy my little Q&A with her, and her thoughtful answers. The thing I loved most about PRACTICALLY RAW–aside from the cute double entendre title and the beautiful recipes themselves–was your emphasis on raw/cooked flexibility. How has that carried into your new book? What kind of options do you give for people who don’t have dehydrators? Thank you! In Practically Raw Desserts, I included the same “features of flexibility” that I did in Practically Raw: ingredient substitution lists, variation ideas, and cooking/baking/preparation options with each recipe. Don’t have ingredient X? No problem; swap in ingredient Y (or Z!). Don’t have a dehydrator? Here’s how to bake it in a conventional oven instead, or use my no-bake preparations. And in fact, 80% of the recipes in Practically Raw Desserts are naturally no-bake, requiring neither a dehydrator nor an oven! Even within the plant based community, there seem to be such stark divisions and differences in the way people eat these days (oil free, candida friendly, etc.). How do you manage to accommodate peoples’ different needs in the new book? 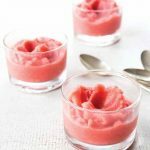 I took my Variations lists up another notch in Practically Raw Desserts by providing an unprecedented number of “X-free” variation options with each recipe. 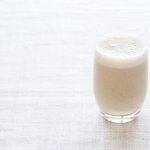 Many are free of oils, nuts, or added sugars as written (and almost every recipe is naturally grain-free), but for those that aren’t, I often provide variations to let you know how you can make them oil-free, nut-free, or sugar-free. And all the recipes in the book are free of dairy, eggs, wheat, gluten, soy, refined sugars, and refined flours to begin with! With these accommodations in mind, one thing I’ve really loved about your work for a long time is that you’re moderate in your approach. Tell me more about that, and how you’ve come to balance care for your health with your love of good food and your resistance to dogma. I firmly believe that every body is different, and what works for one person may not work for another. I resist the urge to label myself in any way or categorize my diet as being 100% anything—the world doesn’t really operate in black-and-white extremes like that, and I find it can too easily become a source of pressure or distress for me to try to be dietetically “perfect.” I will happily label my recipes, but not myself—we humans are much too complex and multidimensional to fit comfortably or completely under just about any labels other than “alive” or “dead”! Long story short, I focus on what makes me feel good—physically, emotionally, mentally, morally. Beyond that, labeling (for me) becomes counterproductive. I take pride in being completely inclusive—omnivores, vegans, raw foodies, paleo peeps, allergy sufferers, and anyone else are all welcome at my site, and can all enjoy my work! I support anyone who investigates and pursues the eating regimen that they find works best for them. You were open with your readers last year about your struggle with Hashimoto’s Disease. Did your diagnosis and healing process have any impact on the way you approached this new book? How has your approach to food changed because of the experience? Actually, I would say that my struggle with Hashimoto’s hasn’t necessarily changed the way I approach food and recipe-writing (as described above) per se—but it has strengthened the beliefs I already held. Even more specifically, what aids or cures an illness for one person may do nothing for another. It’s heightened my awareness of the fact that – as you yourself wisely say, Gena – “food is not a panacea;” if it were, I’m certain I would not still be trying to heal from my own health woes. However, even in cases where a healthy diet and lifestyle cannot “fix” an illness, it can mitigate its negative effects, so everyone can benefit from at least being mindful of the quality of their food and striving to eat in a way that serves general health and well-being. OK, enough serious talk. Let’s talk about your beautiful culinary creations! How did you pick desserts as the theme for this new work? Baked goods and desserts have always been some of my favorite things to prepare and create (and EAT! ), so it was only natural that the follow-up to my first book, Practically Raw, should be a volume of decadent-yet-healthy sweet treats. 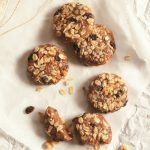 Everyone deserves to be able to indulge in delicious desserts no matter what their dietary beliefs, restrictions, or health needs, so I worked hard to create the ultimate “enjoyable by anyone and everyone” collection of easy-to-make treats that nourish the body while simultaneously satisfying a sweet tooth. I know it’s hard, but if you had to pick one quintessential recipe as your favorite from PRACTICALLY RAW DESSERTS, what would you choose? That IS hard! But I think my favorite recipe in the book may be my Linzer Torte: a gorgeous pie/tart with a hazelnut-pecan crust (complete with lattice-style braided top) and naturally-sweetened raspberry jam filling. It looks incredibly impressive, yet it’s stunningly easy to put together, and you can count the number of ingredients on your fingers. It also contains no oils, grains, or added sugars! I especially liked what Amber had to say about illness and food. It was a comment of hers that prompted my post on body love in the face of illness or feeling unwell, and I have always appreciated her thoughts on this topic. Not only does “pecan chai” sound like “pecan pie,” but these bars taste a little like pecan pie—with some Eastern flair added. Brew your chai tea long and strong to ensure that you can taste it in the final product. You can either eat these straight out of the freezer, when they’ll be solid enough to eat out-of-hand, or enjoy them from the refrigerator, when the buttery topping will be pleasantly gooey and melty. Crust: Combine the pecans, coconut flour, and salt in a food processor and pulse until the nuts are finely ground. Add the chai tea and pulse to combine. Add the maple syrup and pulse until the mixture is combined and crumbly. You can add water, a teaspoon at a time, if needed to achieve the desired consistency. Press the mixture firmly and evenly into an 8-inch square baking pan lined with plastic wrap for easy removal, if desired. Filling: Combine the cashew butter, chai tea, maple syrup, and salt in a medium bowl. Stir vigorously to combine. Pour the filling over the crust and scatter the (whole or chopped) pecans on top. Place the pan in the freezer to chill for at least 2 hours before cutting and serving. Store the bars in an airtight container in the refrigerator for up to 1 week or in the freezer for up to 1 month. I hope you enjoy these bars, and Amber’s book. You can order it here! And you can connect with Amber via her website, Twitter, or Facebook. All of this looks amazing! She is so talented! 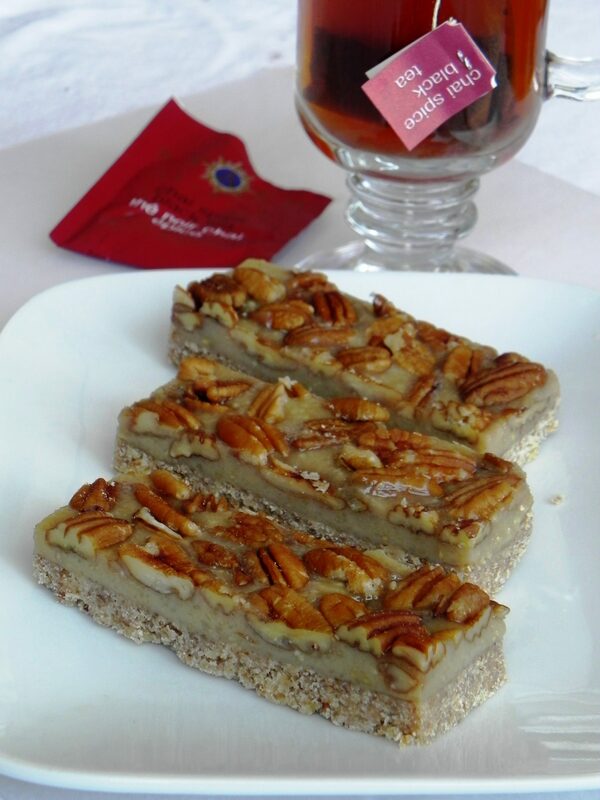 The pecan chai bars look absolutely incredible! My pecan pie husband would most certainly be won over in seconds. I love how flexible and versatile Chef Amber’s new book sounds, super impressive to have so many variations for certain needs. So small feat I’m sure! Definitely checking it out! Thanks for the great review Gena! The pecan chai bars look absolutely incredible! My pecan pie husband would most certainly be won over in seconds. I love how flexible and versatile Chef Amber’s new book sounds, super impressive to have so many variations for certain needs. No small feat I’m sure! Definitely checking it out! Oh dear, so sorry for the double-posting! She is one of the best! Everyone who loves food knows her. I got inspired by her book and she still helps me in the kitchen all the time with her wonderful recipes. The combination of Pecan and Chai is genius. A must-try recipe for sure! I’ve been following Amber’s blog and the book tour and swooning over all the pictures from the new book and this post has cinched the deal- BUT, do you have any idea if/when it will be sold direct by UK sellers? I looked on Amazon UK but it’s only available from the US right now? I’m not sure about when the book will show up on Amazon.co.uk, BUT I know it’s already available at bookdepository.com, with free shipping worldwide! 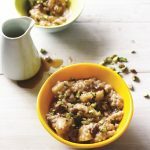 http://www.bookdepository.com/Practically-Raw-Desserts-Amber-Shea-Crawley/9780980013184 🙂 It appears to be out of stock at the moment, but they usually get it back in stock within a week after running out. Thank you. Not sure why I forgot to check there. Will be checking regularly for it to come back in stock! Thanks for sharing this Gena! I love Chef Amber’s website and recipes and am so excited about this raw desserts cookbook. My kids love anything chai flavored so I will definitely be making this recipe for them. SO excited for this book! I saw a review of it last week and ordered my copy! Raw desserts are so fun and an easy way to incorporate more raw foods into my life. I am down with Chai anything!! Those photos are gorgeous! I’ve been enjoying these interviews lately. They’re filled with little nuggets of wisdom and delicious recipes. I love anything chai or with pecans, so I can tell this is going to be a favorite. Thanks, girls! Pecan + Chai…I die. These look so amazing, and I’d make them right now if I had cashew butter. I love Amber’s site (& her no nonsense/no labels approach to life) but this is the first review I’ve read of Practically Raw Desserts. Just might have to order a copy (especially since desserts are my weakness)! I am so getting your book!!!! And I need more than one for gifts. Thank you so much for posting so many great raw foods. I am just starting on raw foods and need all the help I can get. Look forward to trying the Pecan Chai Spice bars. If they taste as good as they look, I’ll have to get the book as well! Thanks alot for this post Gena. I made these for dessert on Saturday night and my husband and friends all raved about them. I added a tablespoonful of chia seeds to the filling mixture to thicken them up a little bit. For the chai tea, I used Celestial Seasoning Bengal Spice Tea, 2 tea bags brewed for 15 minutes in about a cup of water, so it really added lots of flavor to the bars without caffeine. Yummy! That’s great, Kim! So glad you enjoyed them.